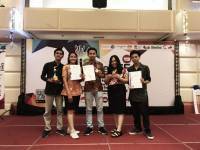 Jimbaran - Tuesday, (03/07/2018) Udayana University received a 4th representative apprenticeship of PT Asuh Ristekdikti Program series. The four universities consist of Mahasaraswati Mataram University, West Nusa Tenggara University, STKIP Yapis Dompu University and IKIP Muhamadiyah Maumere. The apprentice participant is accepted by Vice Rector for Academic Affairs, Prof. Dr. Ir. I Nyoman Gede Antara, M. Eng accompanied by Chairman of LP3M, Chairman of LPPM, Head of Library Unit, Secretary of LP3M and Head of USDI and Team of Assistant. Vice Rector for Academic Affairs, Prof. Dr. Ir. I Nyoman Gede Antara, M.Eng said that Udayana University is assigned as PT Asuh to accompany the University in this case four PTS which has at least 26 Prodi, the program is implemented in order to increase accreditation. In the apprenticeship process, it is expected that the representative of PTS can see directly the accredited A or B at Udayana University and have the opportunity to visit the facilities and infrastructure related to the accreditation workshop. Vice Rector hopes through this activity PTS has an understanding of the importance of facilities and infrastructure in order to support accreditation Prodi. 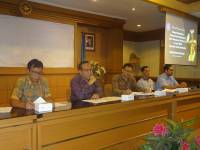 The Vice Rector also appreciated LP3M Unud team that has conducted this activity. 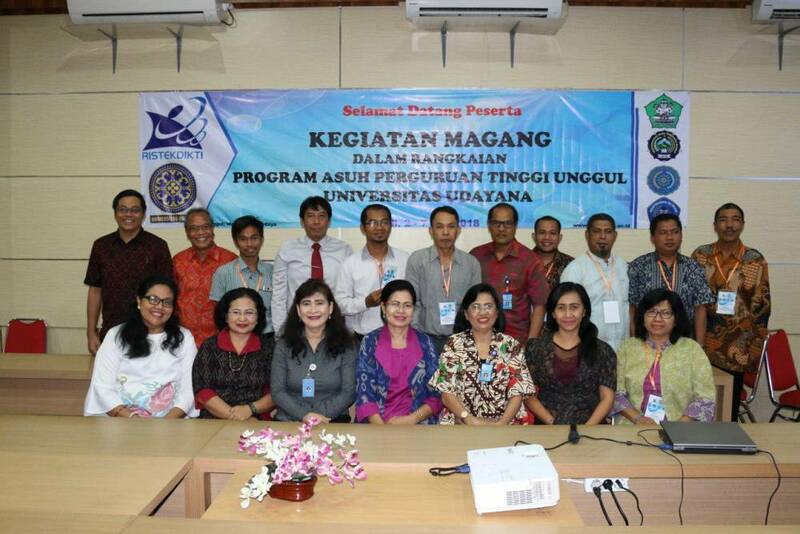 Chairman of LP3M Unud, Prof. Dr. Ni Wayan Sri Suprapti, S.E., M.Si added that this internship activity is a series of PT Asuh Unggul program which is entrusted to Unud as one of the accredited University A. This program has been running for two years and nowadays Unud has taken care of four PTSs. The purpose of this program is to build PTS to achieve a better accreditation value of at least B. For that must consistently run Internal Quality Assurance System (SPMI) which is a system for Universities in implementing learning in accordance with the National Standards of Higher Education. If it has been carried out consistently, this can be an assessment of BAN-PT ie External Assessment System.